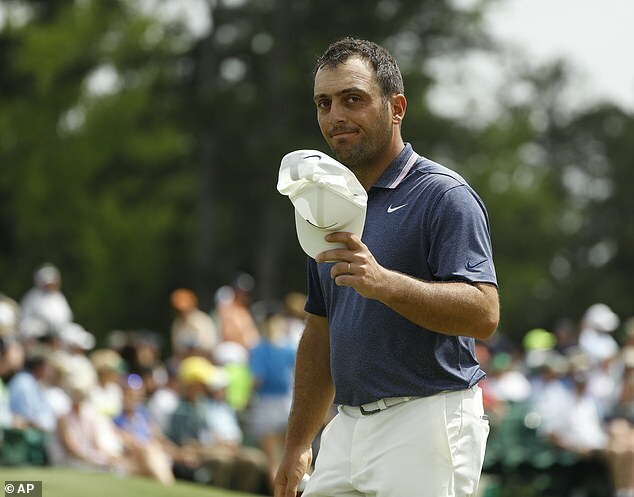 It was another enthralling day of action at the Masters as the likes of Francesco Molinari, Jason Day and Tiger Woods made their move up to the top of the leaderboard. However, while some big names made their mark, it was a day of frustration for world No 1 Justin Rose, who misses the cut after finishing on four-over par. 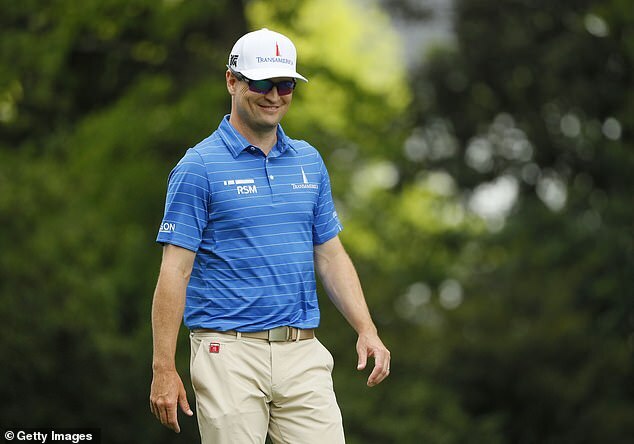 Zach Johnson didn’t exactly have the proudest moment of his career on Friday. 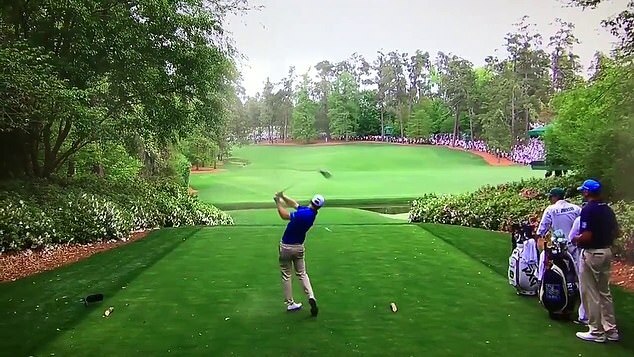 On the par-five 13th, the 2007 Masters winner accidentally hit his ball on his practice swing off the tee. 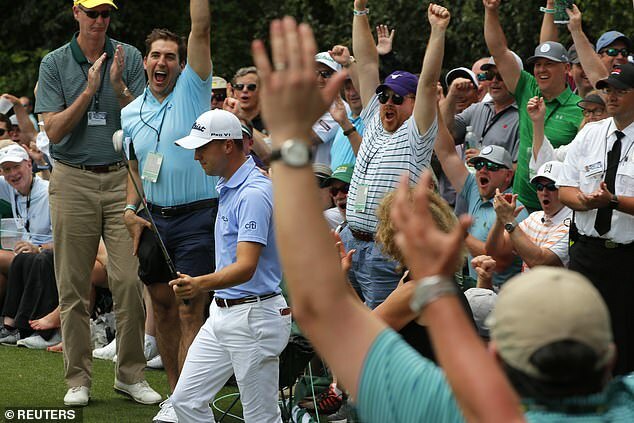 Fortunately for him, no penalty was given as it was unintentional and he ended up with a birdie. ‘You can all laugh, that’s embarrassing,’ Johnson said. 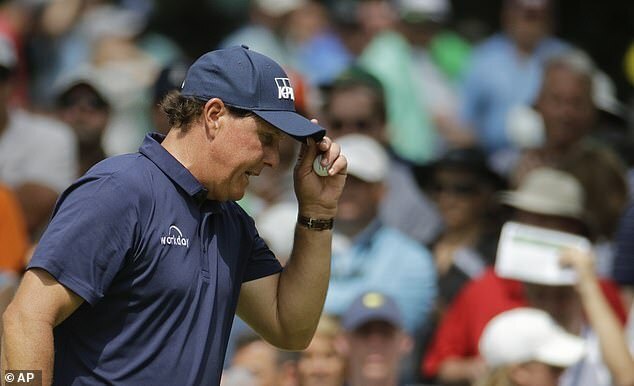 Phil Mickelson can raise his club after playing his 100th competitive round at Augusta. And the 48-year-old will be hoping to add a fourth green jacket to his collection on Sunday after heading into the weekend on four under par. Beware the injured golfer. Jason Day has been plagued with a recurring back problem but he has defied the odds. 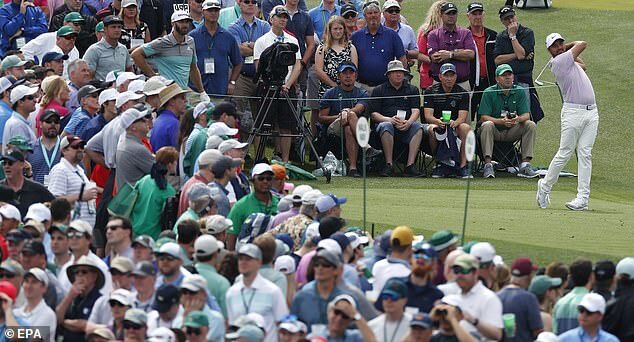 After re-injuring his back picking up his daughter ahead of the Masters, the Australian has put himself firmly in contention for the green jacket, finishing the day joint top on seven under par. After frustration with the putter on Thursday, Justin Thomas opted for a more unconventional way of finding the hole on Friday. He started the day one over par, but powered his way up the leaderboard after chipping in twice during his second round — for birdie on the sixth and for eagle on the 15th. Back in the pack on three under. First-timer at the Masters, Keith Mitchell, holed out for an eagle on the par-four seventh to put himself into the red figures. 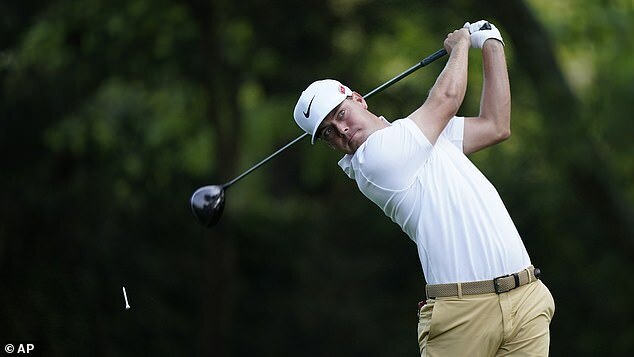 After finding the fairway with his drive, the 27-year-old’s approach shot landed stiff before bouncing straight in the hole.